This “Halloween” is very similar to Jamie Lee Cutris’ character in the movie. Both have had long times to prepare for the eventual return of Michael Myers, and the way each go about the return is horribly miscalculated. Forty years after the original “Halloween” where Michael Myers butchered a small group of babysitters, he is being transferred to a new mental asylum. En route to his new location, the Myers escapes and head after Laurie Strode (Curtis), the single survivor from his original massacre. The issues of “Halloween” are not apparent at first and lurk beneath the surface of competent cinematography, creative lighting and decent acting, but they are present. Once these issues become apparent, it renders “Halloween” a failure on a multitude of levels. Take Laurie and the villain of Michael Myers as evidence to this point. Curtis has been waiting 40 years for Myers to escape in order to kill him, and she has used those four decades to get ready. Myers is an unstable killing machine who just murders indiscriminately and goes after Laurie. The audience has its established set of circumstances, which are incredibly straight forward, and the movie bungles both. Laurie has been able to plan for 40 years, and her entire idea is essentially to just wander around with a bunch of guns in the hopes that she will run into Myers and kill him. In one of these scenes, she carries a close range shotgun around a house looking for him. Considering Myers’ established strength, going in close is a terrible idea, but she does it anyways. Sure, characters make dumb decisions in horror films, but the one person who knows what Myers is capable of and has been planning this moment for a long time? Sorry, but suspension of disbelief does not cover that. Now take a look at Myers. He is the film’s monster and what the audience should be scared of. To be scared of him, though, the audience has to know what he is capable of, and that changes. Sometimes he is an incredibly strong, deranged killer who seems to have hints of supernatural abilities at times, and other times he cannot even get through a bathroom stall’s lock to kill a victim. On top of that, he seems to have a sixth sense about where Laurie is so he can follow her, and this makes about as much sense as how the shark in “Jaws: The Revenge” somehow constantly knows where the Brody family is. For those who do not get that reference, just know that having any part of a film get compared to “Jaws: The Revenge” is not good. There is a whole new cast of characters in this film as well, including Laurie’s daughter (Judy Greer) and granddaughter (Andi Matichak), Myers’ psychologist (Haluk Bilginer) and a police officer who is investigating the case (Will Patton). There are a bunch of established plot lines with these characters that are vastly underwritten and seem to only serve as tools to put scenes in between Myers’ kills to pretend like something is actually happening in the movie. A good example of this is the subplot involving Laurie’s granddaughter and her boyfriend. People tell her his family is bad news, she ignores them, he acts like a jerk, she feels betrayed and then he disappears from the movie. What was the point of this subplot? The answer is there was none. What really makes the movie insulting though, even more than everything else that has been listed, is the lack of self-awareness that it possesses. The original “Halloween” knew what it was: an atmospheric slasher film about a crazy guy stalking and killing teenage babysitters, and that was all it presented itself as. This movie seems to have its own idea of what it is about and who these characters are, and none of it could be further from the truth. There is the theme of family in regards to Laurie, her daughter and granddaughter, but as previously stated, this is underdeveloped so it does not work. 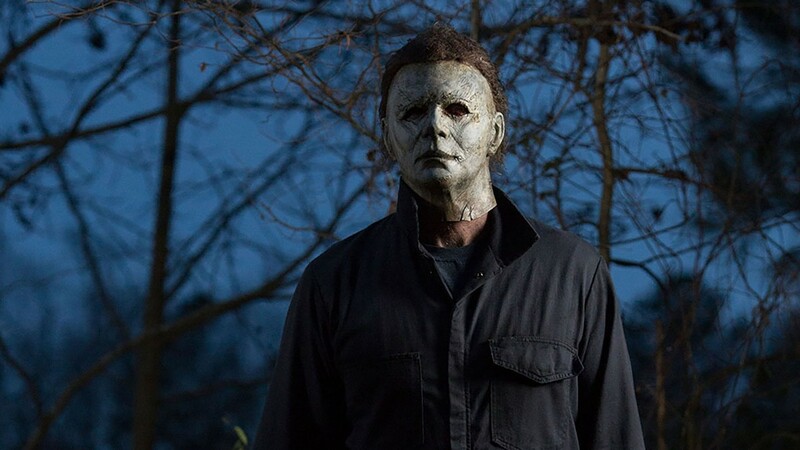 The movie acts as if Michael Myers has some sort of interesting depth to him that is in need of studying, but he is really nothing more than a movie monster that should get killed off for everyone else’s general safety. The best way to sum it all up is probably to say this: the original “Halloween” from 1978 is boring, not scary and undeserving of its place among horror classics. While that is the case, it also deserves better than to share a title and franchise with a miscalculation of such egregious proportions.